The demand within the global market for legal marijuana has been increasing on account of growing awareness about the uses of marijuana in several medical applications. Marijuana is a psychoactive drug that is derived from cannibes plant, and is used for several medical and recreational purposes. However, the legal use of marijuana has to undergo several phases of screening before it can be be distributed to the desired industries. Several countries have imposed strict restrictions on free-selling of marijuana due to the rising instances of drug-abuse and addiction. Furthermore, smuggling of the drug has led government to tighten security at import inlets and other avenues of entry. Owing to these factors, the growth of the global market for marijuana is sluggish and is faced with multiple roadblocks. However, several territories and regions have legalised selling of marijuana subject to the certain terms and conditions. Some of the states in the US have also permitted the usage of marijuana for recreational purposes, thus, giving an impetus to the growth of the global market for legal marijuana. The global market for legal marijuana can be segmented based on the following parameters: end-use, distribution channel, and region. Since the market for marijuana is always under the radar of scrutiny, these segments play an important role in understanding the market dynamics. A report on the global market for legal marijuana creates a basis to understand the key dynamics that have pervaded the market in recent times. 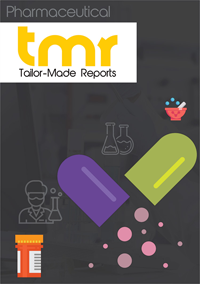 The report not only portrays the intrinsic and extrinsic drivers of demand, but also elucidates the factors that retrain market growth. The demand within the global market for legal marijuana is driven by the extensive usage of this drug in several medical applications. Several scientists and medical practitioners have been testing he impacts of marijuana on the human body, and this has led to discovery of medications based on marijuana. This is another key factor that is expected to reap in tremendous revenues within the global market for legal marijuana. Furthermore, the demand for legal marijuana also comes from research laboratories, centers for bio- analysis, and medical research organisations. Owing to the aforementioned factors, the demand within the global legal marijuana market is projected to touch new heights in the years to come. However, the use of legal marijuana continues to be a matter of scrutiny and regulation in multiple regional pockets. Owing to this factor, the growth of the global market for legal marijuana is projected to remain steady in the years to come. Nevertheless, the widespread usage of marijuana for recreational purposes is expected to keep enhancing the growth prospects of the market. The demand for legal marijuana has been escalating across North America, majorly due to the sale of the drug for recreation purposes in several territories of the US. Barring North America, no other regional market is projected to attract any substantial revenues in the years to come. The market players in the global market for legal marijuana have been focusing on finding government approvals in order to enhance their prospects of growth over the coming years. Some of these key players in the global market are Canopy Growth Corporation, Aurora Cannabis, and Aphria, Inc.